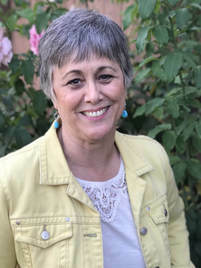 Kate Hendon is a classical piano and voice instructor with 20+ years of experience teaching in Los Gatos/Cambrian Park. She has also worked as a professional pianist, soprano soloist and children's choir director. Kate takes the best of classical training and incorporates fun teaching methodologies to promote a lifelong love for the arts. Her students can expect a strong musical foundation. She teaches how to read music, so that students can become functional musicians and play any music they enjoy. Kate uses all types of repertoire, including classical, contemporary styles, and jazz. Mentorship of her students is an important aspect of her teaching. For voice instruction, she teaches the fundamentals of classical singing, including breath support and how to use the various vocal registers without straining or "breaking" the sound. These fundamentals can be applied to all styles of singing, including musical theatre. Kate also promotes music as community service. She offers monthly performance opportunities where students learn how to share their love of music with others in a supportive and compassionate atmosphere.